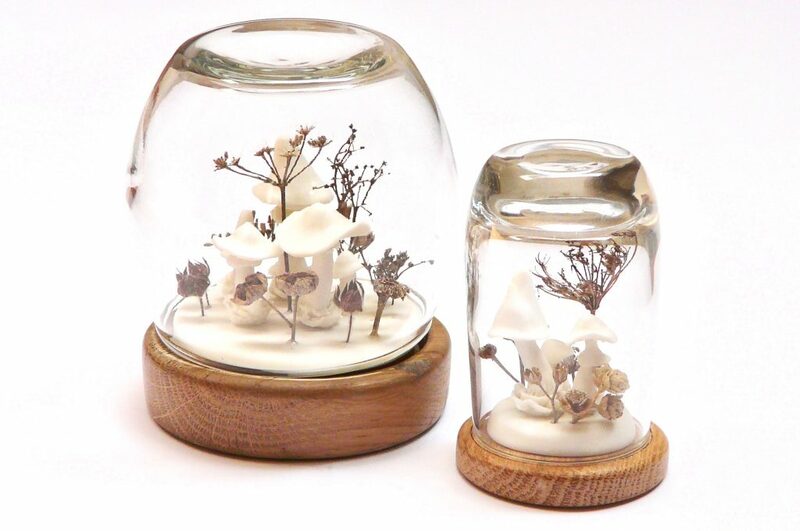 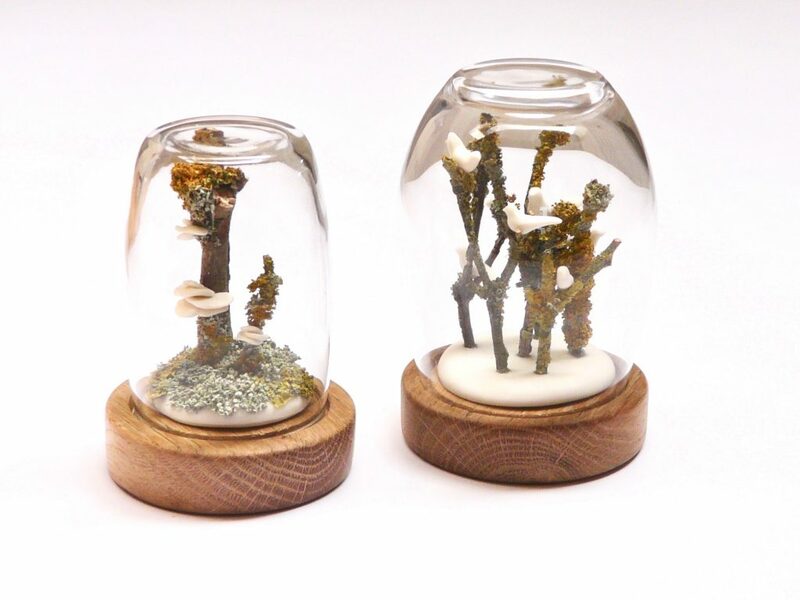 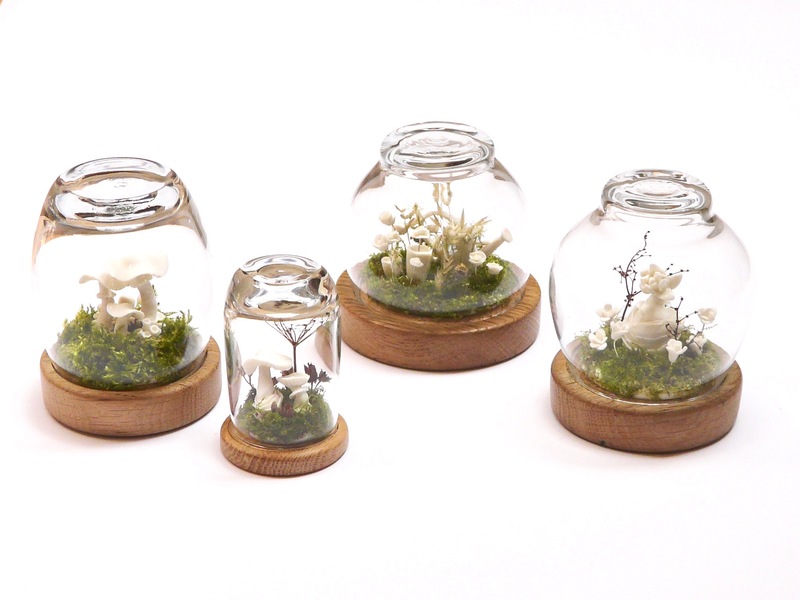 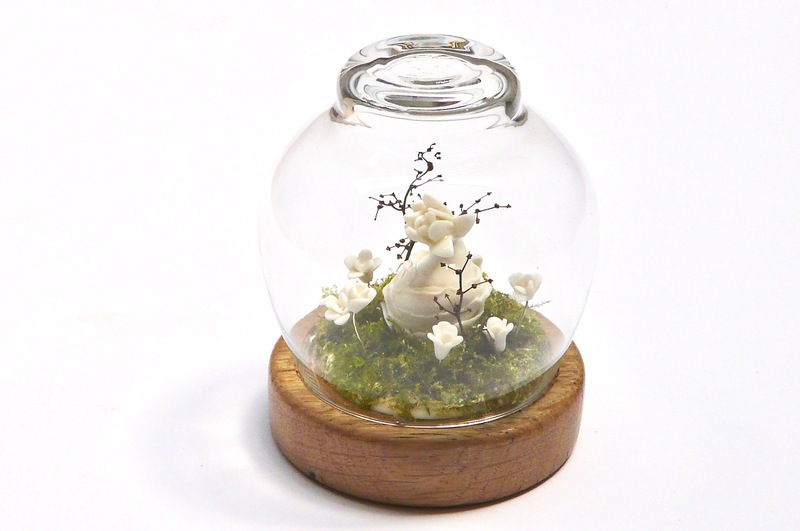 Glass domes with tiny botanical stories. 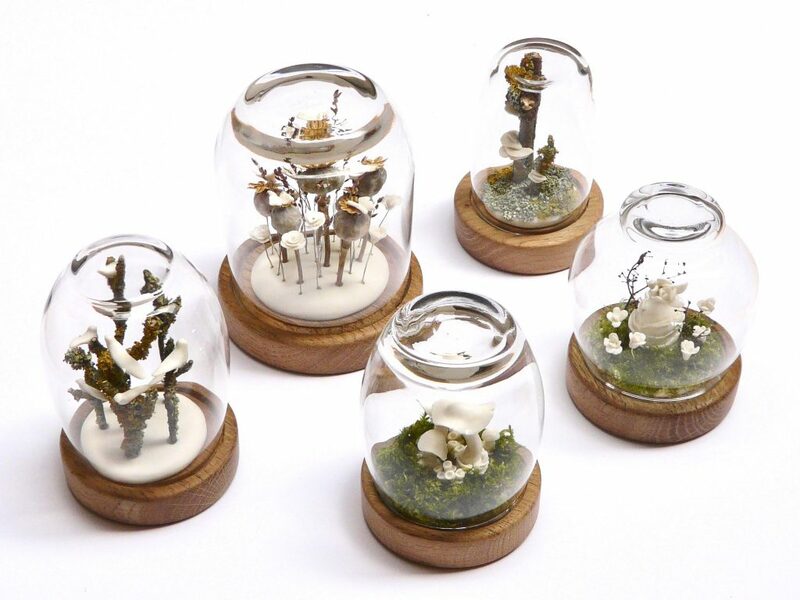 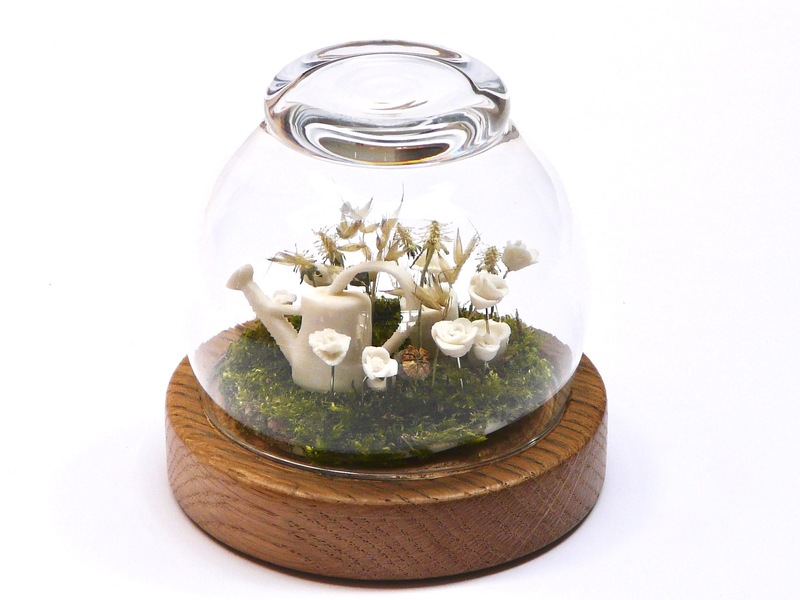 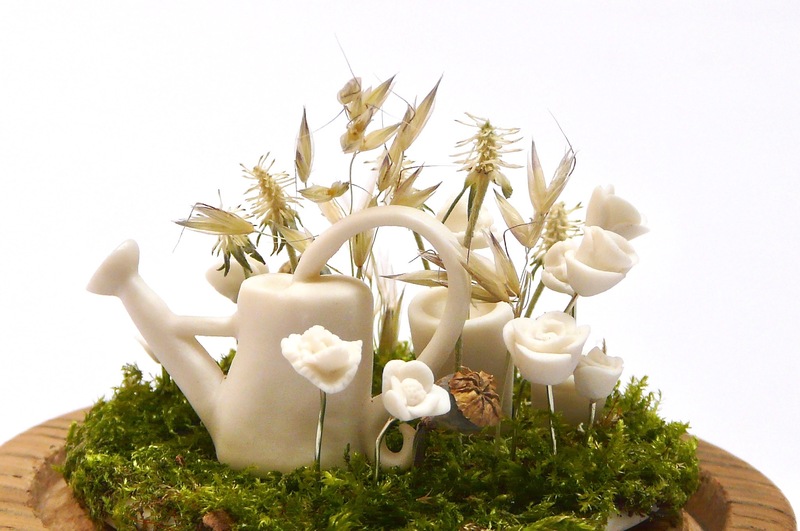 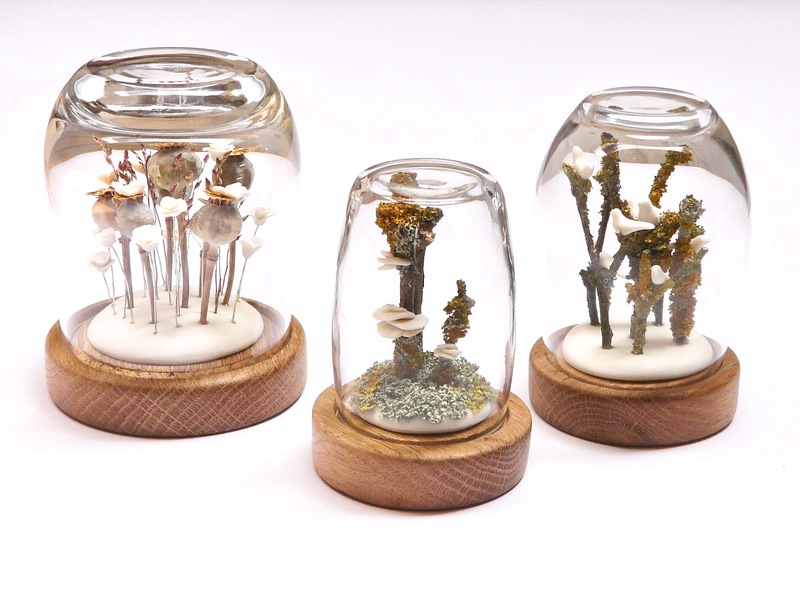 Enchanting miniature worlds with wildflowers, birds, butterflies, moss and mushrooms. 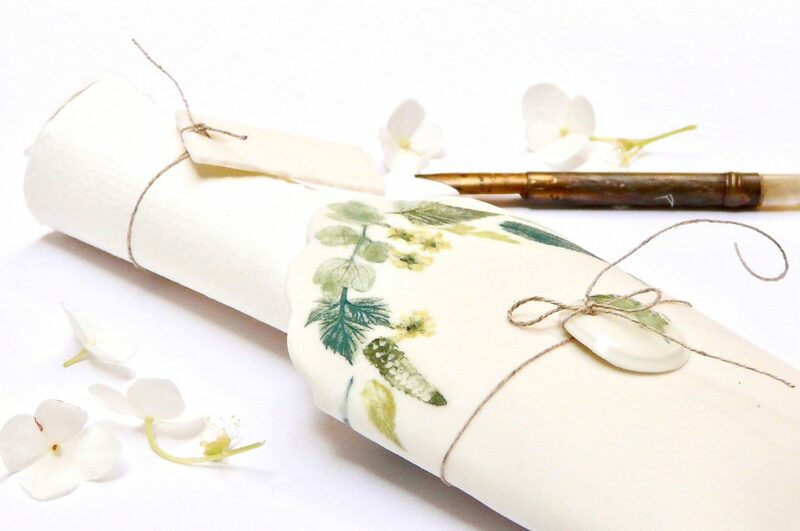 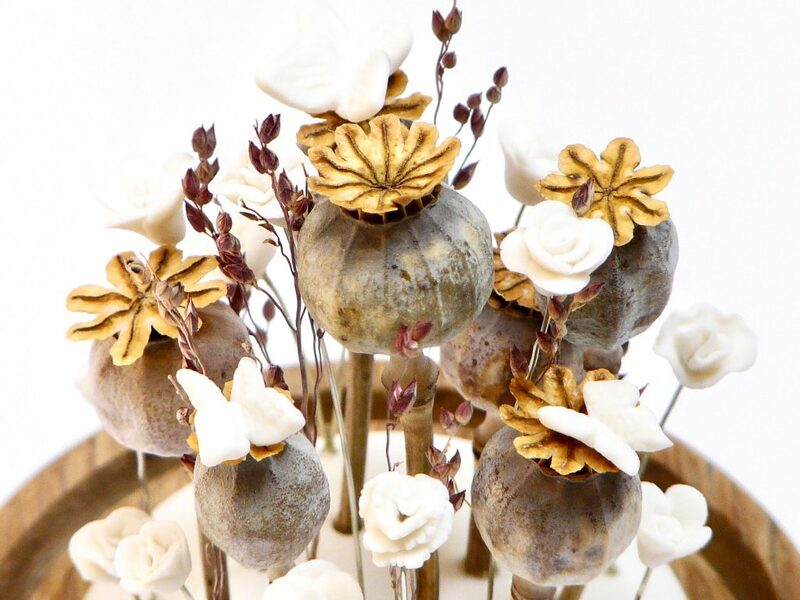 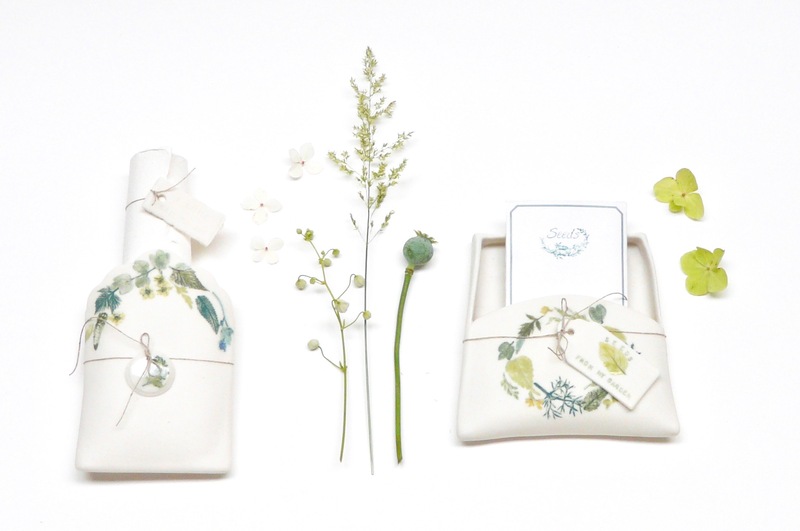 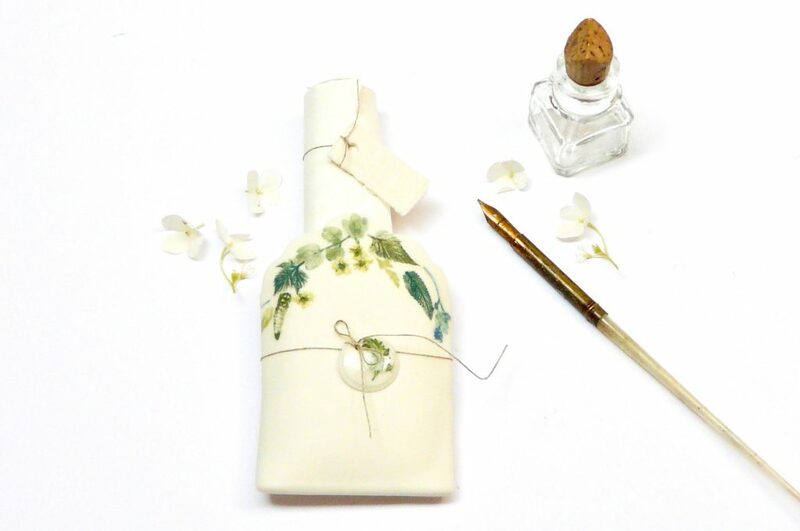 A collection of porcelain stationery with handmade cotton paper, tiny porcelain tags and botanical details. 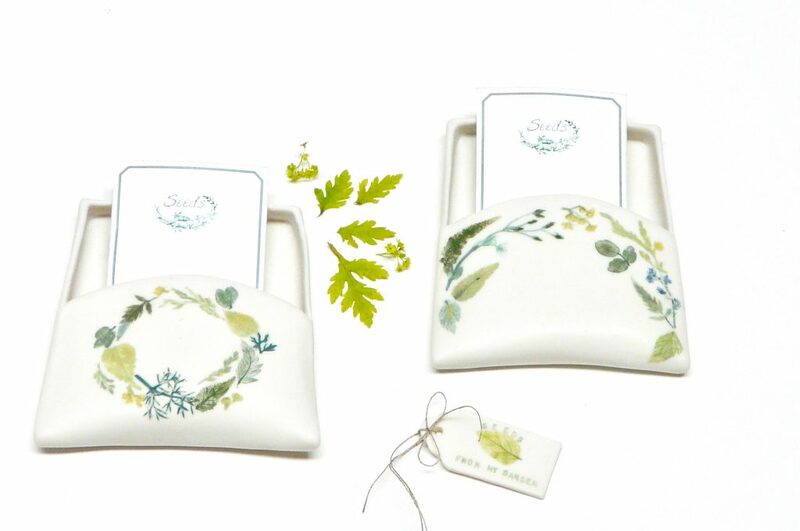 Seed boxes with imprints of herbs and plants. 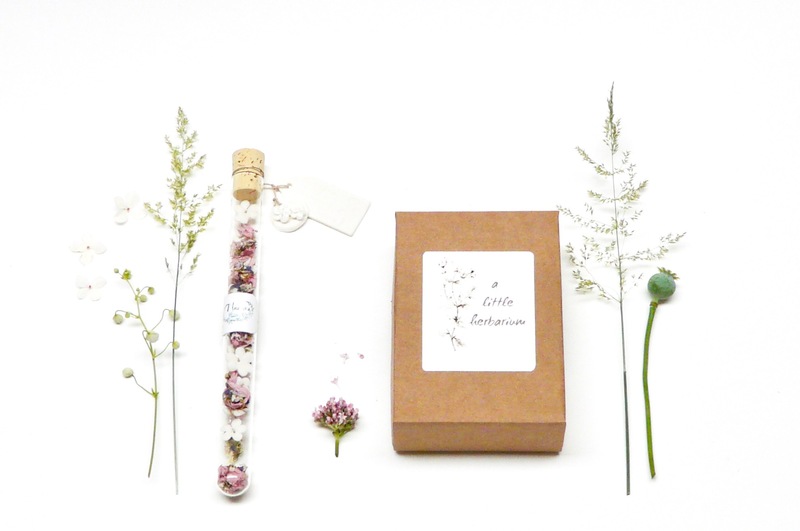 A little package is filled with seeds from my garden. 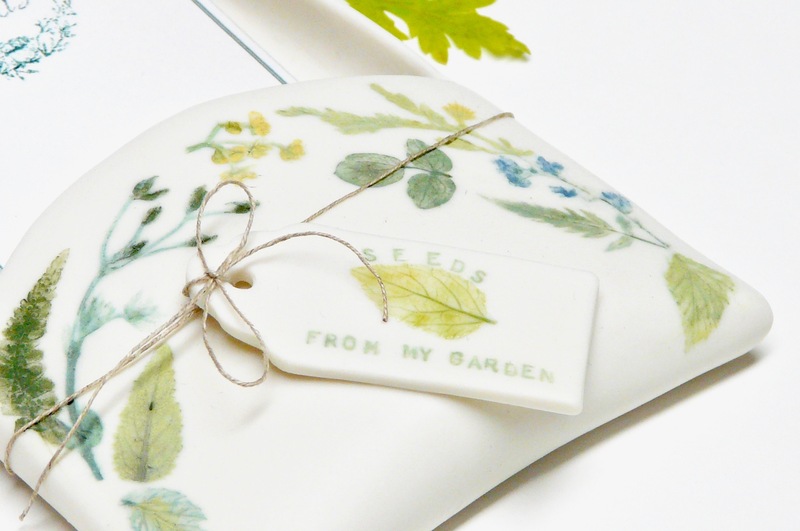 A perfect botanical gift for gardeners! 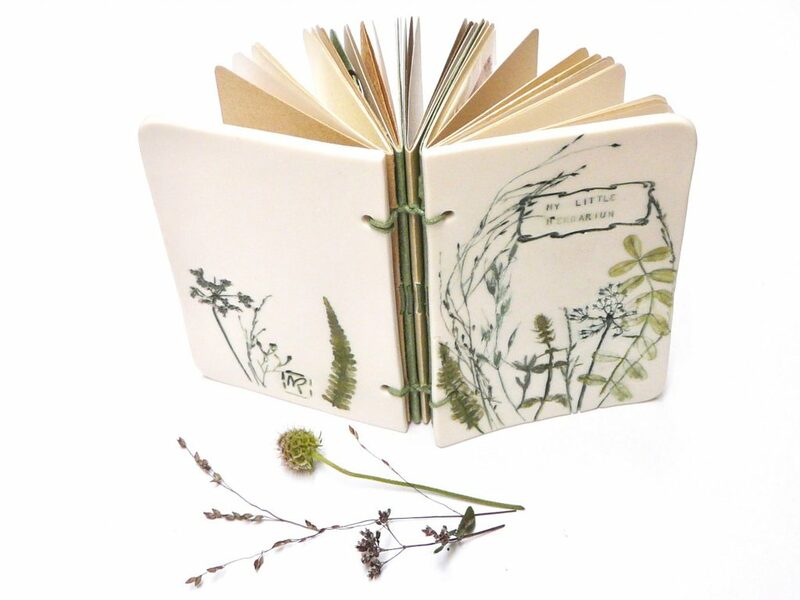 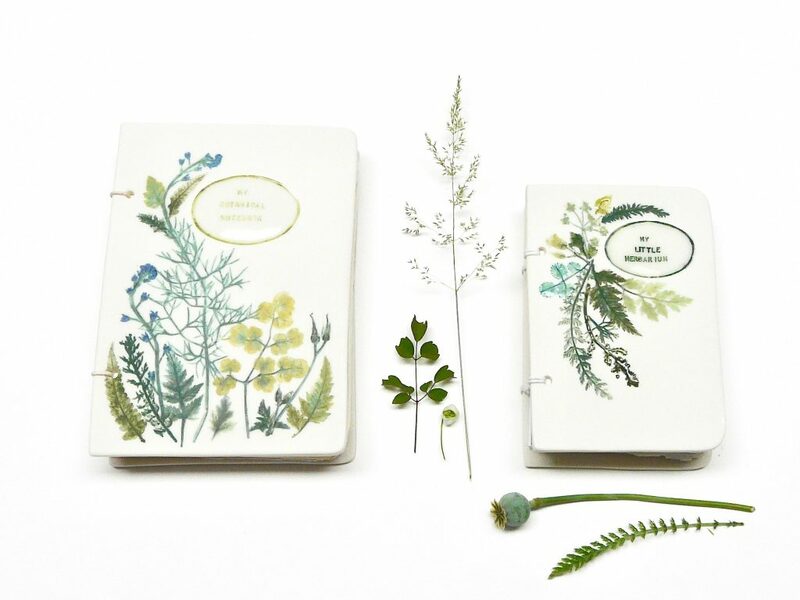 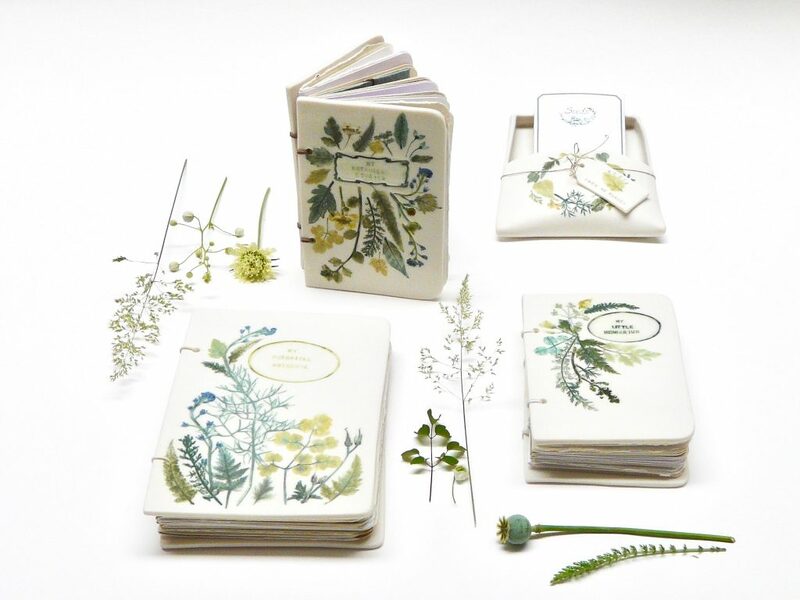 Porcelain notebooks and a herbarium. 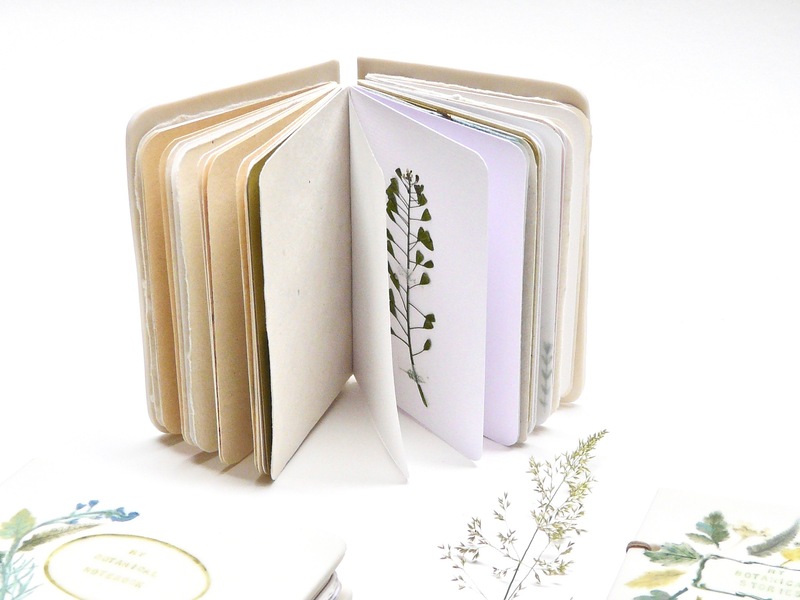 They are filled with different kind of high quality paper with dried flowers, tiny envelopes, botanical stickers and other surprises. 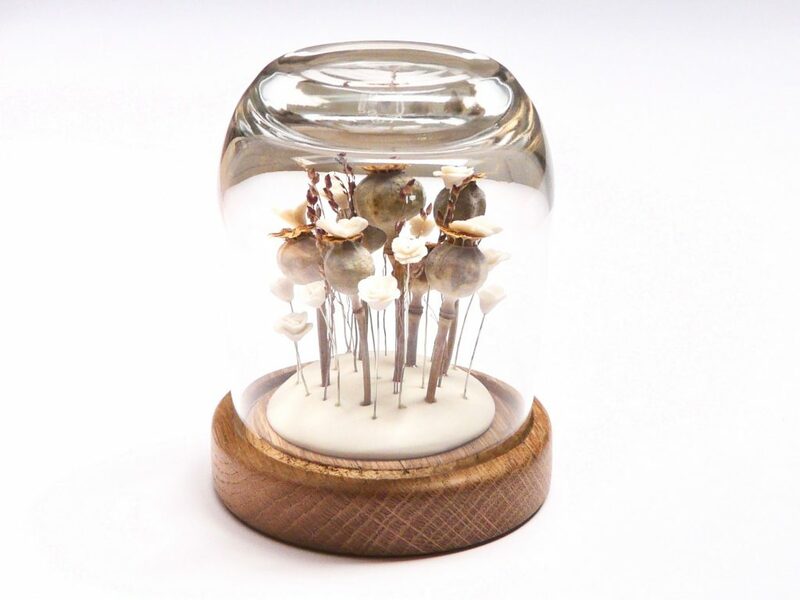 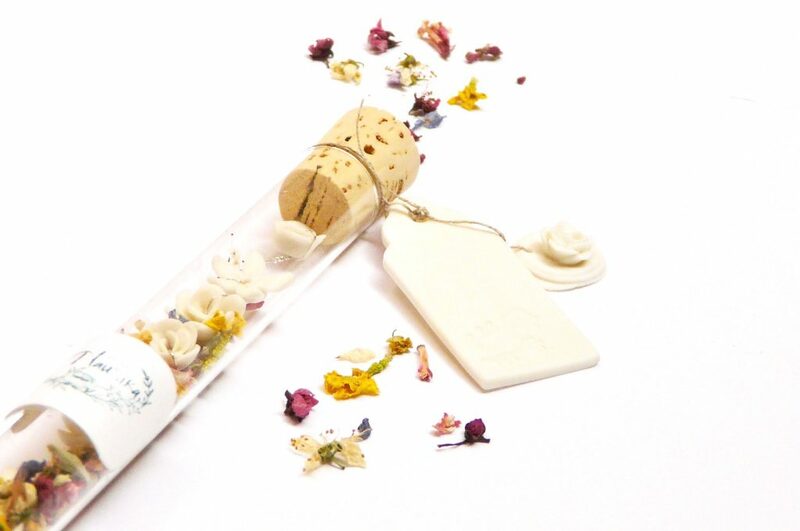 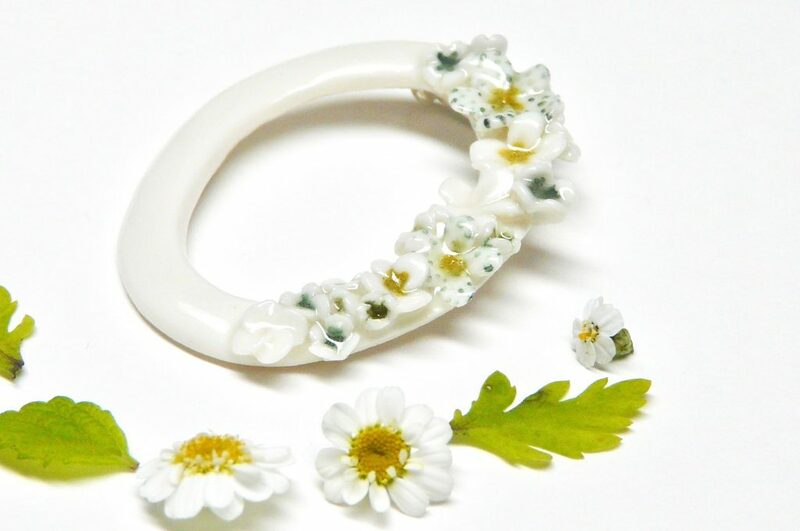 Herbarium box filled with porcelain wildflower labels and a glass tube filled with dried flowers from my garden and a porcelain wildflower chain. 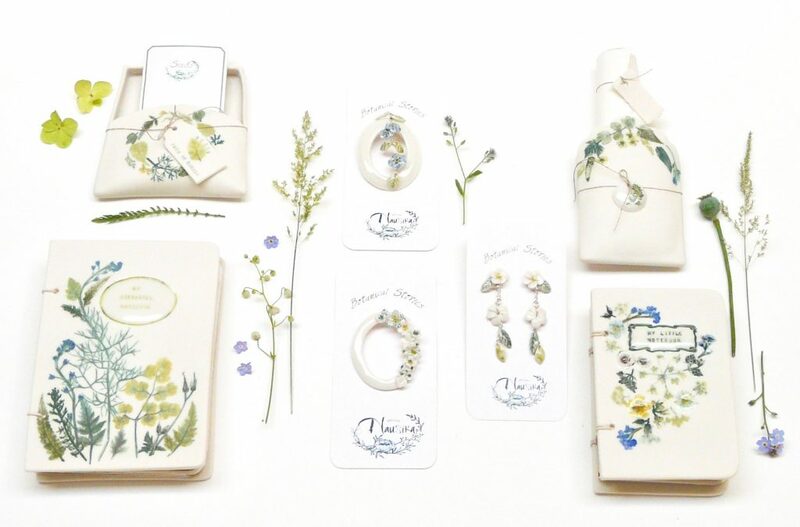 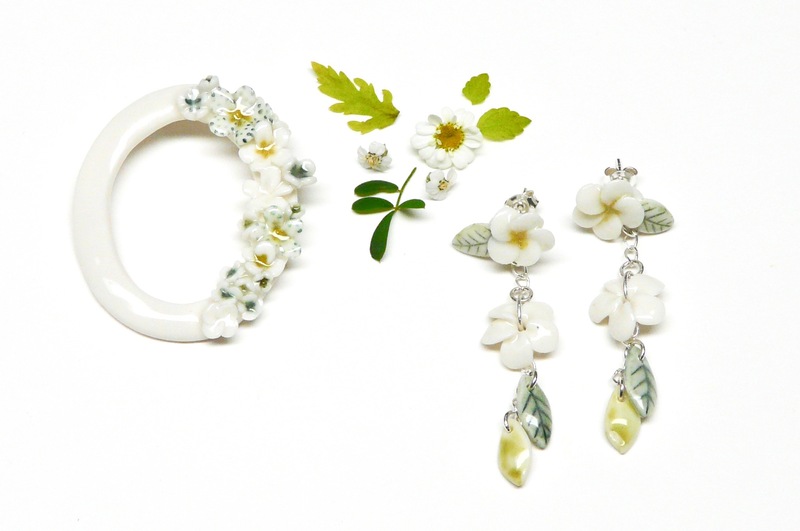 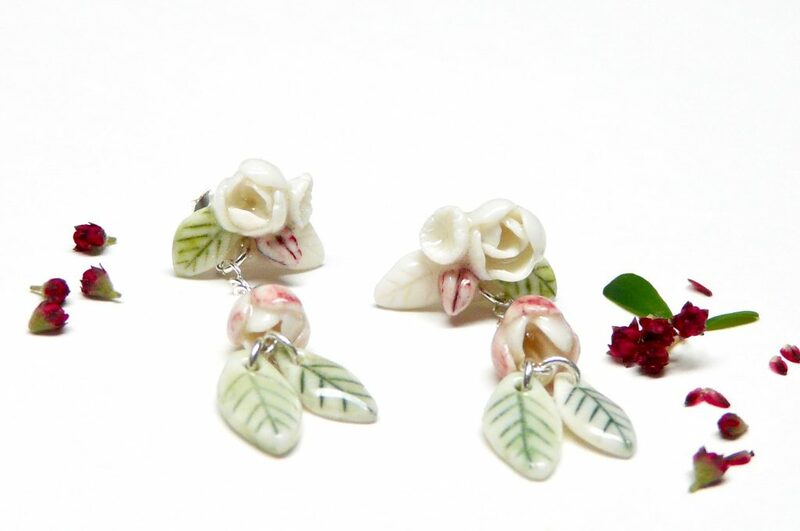 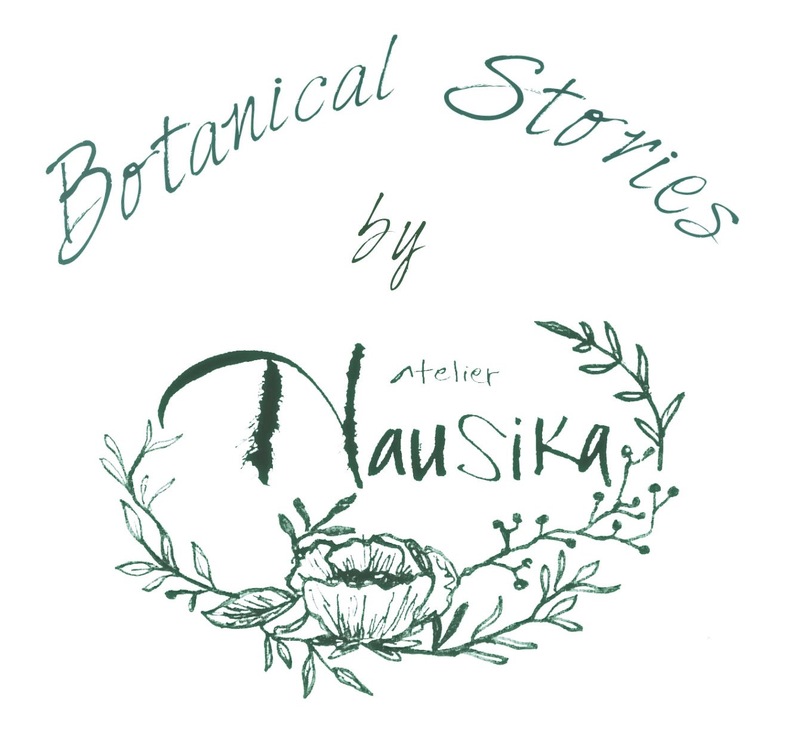 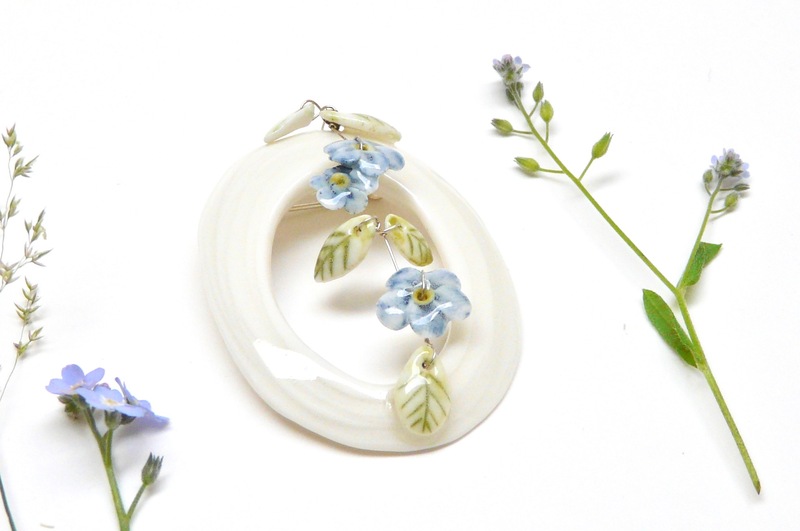 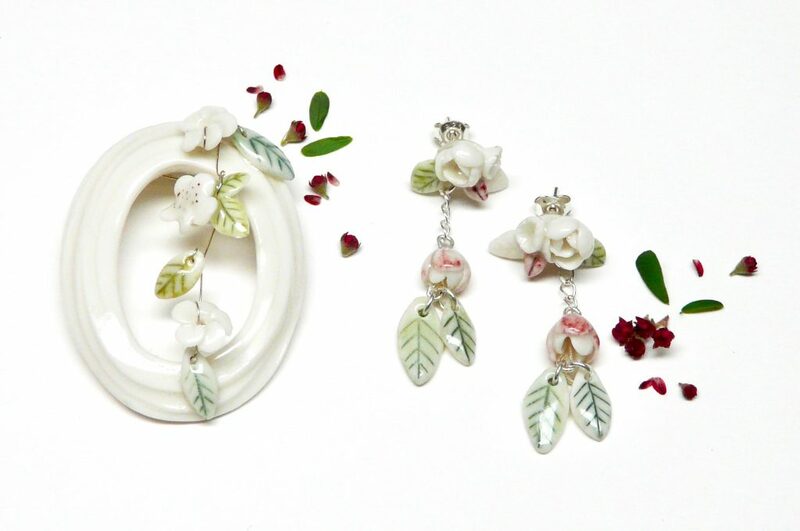 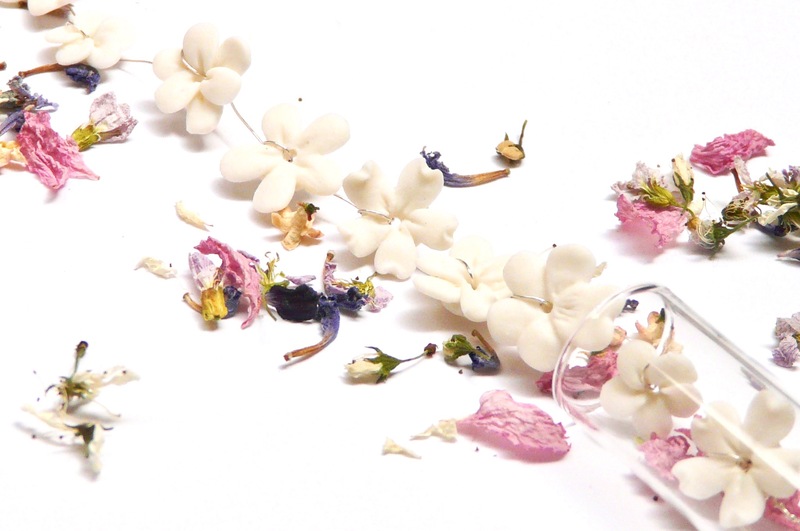 A selection of “Botanical stories” stationery and jewellery.